Not just a note app. But an app for re-using input for your future metrics. 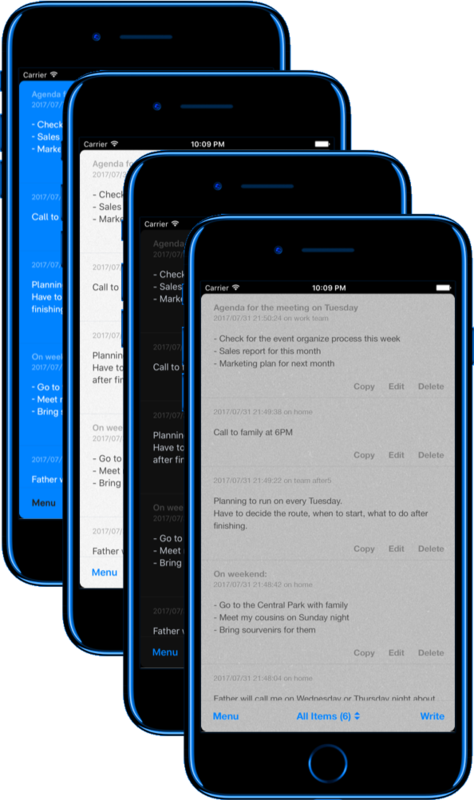 textboard2 provides the smartest way to clear your mind. 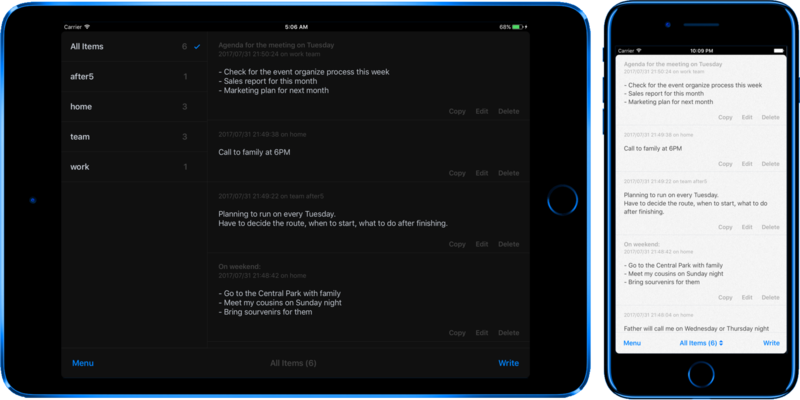 Using tags, you can organize your thoughts, tasks, executions, data, and more. ​​The players are your thoughts turned into text. Whatever short or long, one line or multi-lines, you can add. They are all listed in one board. Check with just scrolling. 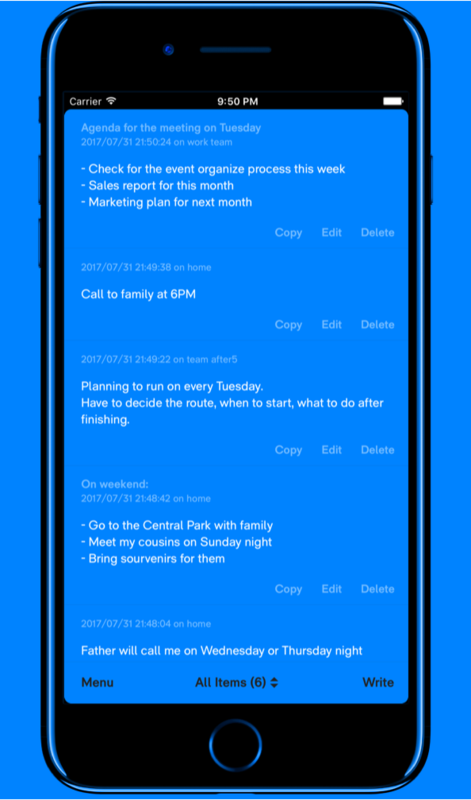 ​Reminders, snippets, drafts, and more. 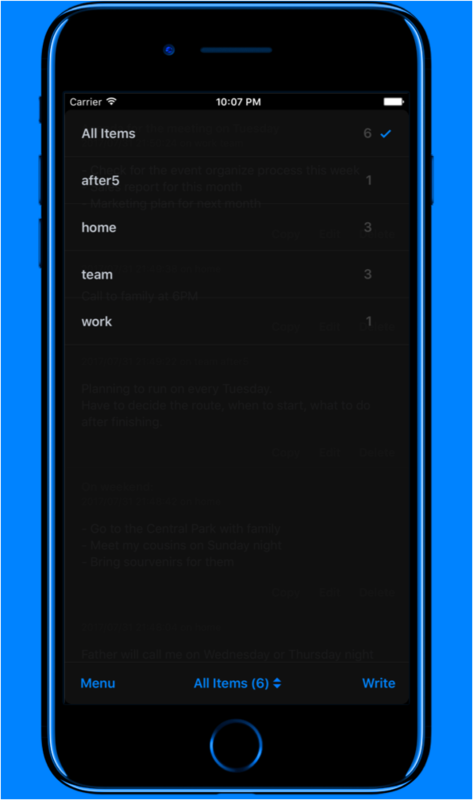 Your text is neatly organized by adding 'tags' so that you can easily pick up and reuse by coping to pasteboard. ​Initially 4 visual themes are available as a start. Easy to change them at any time, and have fun with your mood. More will be added by update soon. Just turn on iCloud and now you will be able to back up your text and use in other iDevices. Mac app is also coming soon. ​From many use cases, more quicker access to the controls and are built and tested. Now much more addictive for daily use.